Are your students fluent readers? If they're anything like my students, fluent reading does not come naturally or easily, especially if they are English Language Learners. 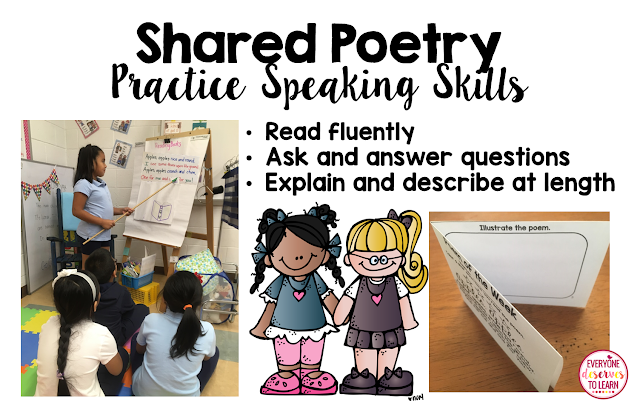 Each year I'd say, "This is the year we are going to practice fluency every day!" And the first two days were great! But then life happened. And fire drills happened. And half the class was out with the flu. So fluency practice went out the window with my good intentions. This year, I was determined to find a routine and stick with it. One that wouldn't take time away from any other skills, and one that I could integrate into my already established daily schedule. After reading some posts and talking with other intervention teachers, I decided to add my fluency practice into my daily morning meeting. I always meet with my students whole-group on the rug before we move into our Daily 5 stations, so I thought that would be the best place to add it. 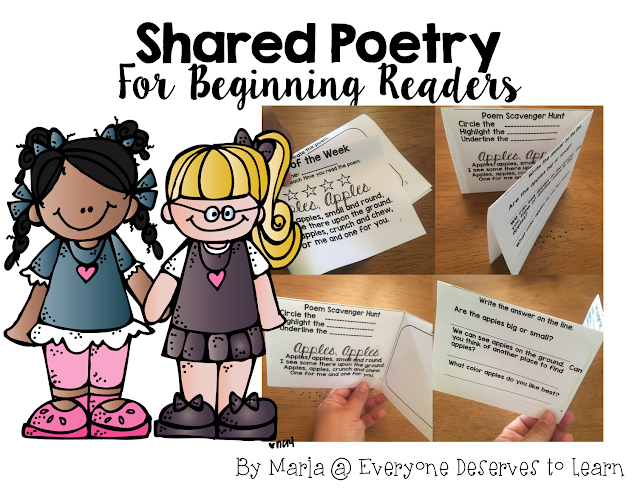 Once I decided to create a dedicated time for fluency practice, I started writing poems specifically tailored for my struggling readers. Once I got started, the ideas just kept rolling! Right now I'm set with weekly poems from September to winter break. Day 2: I read, they listen, then we read together. I call up some students to point to letters/words/sounds depending on each student's abilities. Day 3: I read, they read with me, then they read chorally. I call up some other students to identify sight words, rhyming words, or other skills we are working on. Day 4: They read chorally, then read to a partner. We answer comprehension questions orally. Day 5: Whoever wants to read aloud can come up and display their beautiful fluent reading for the class. 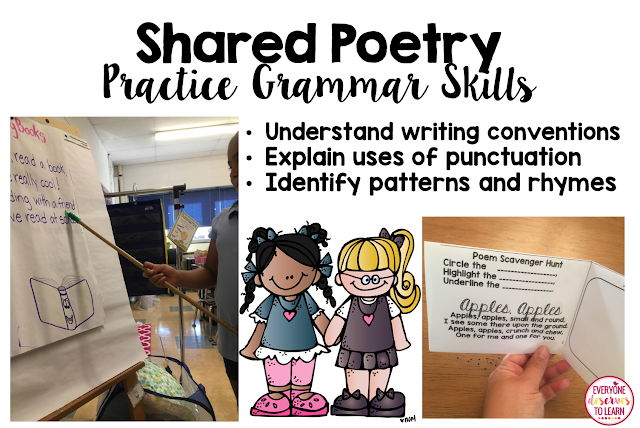 We answer comprehension questions in writing, and/or illustrate the poem. Sometimes we'll spend time looking at pictures and videos of the weekly topic, which is always seasonally appropriate. I have some students who don't celebrate American holidays, so I've included non-holiday options as well. 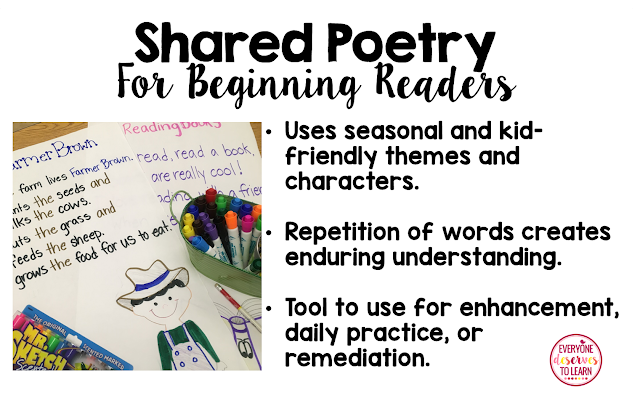 When we're finished with the week's poem, I hang it in my room so that the kids can read it the following week during read to self. 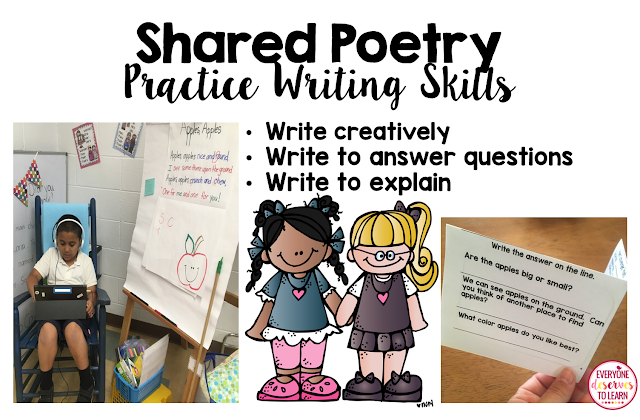 Sometimes I'll give out whiteboards and dry erase markers and have students copy a line from the poem to practice one-to-one skills, or for more advanced students, I'll cover a word and see if they can write it from memory. 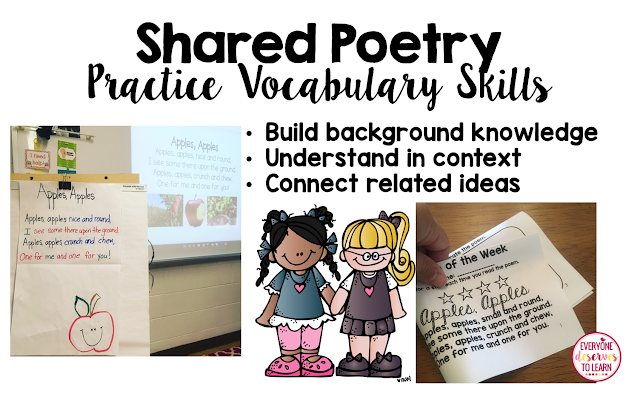 The options for addressing skills and standards with one weekly poem are practically endless! 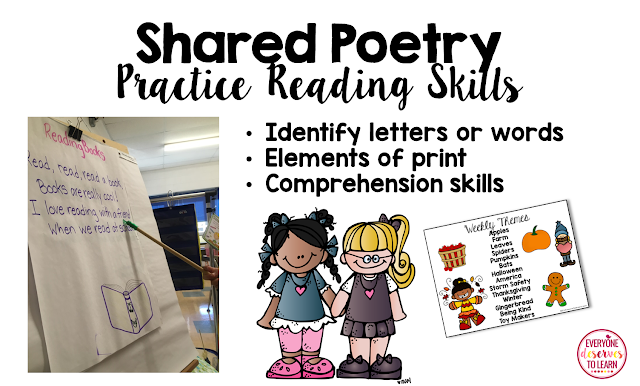 If you write the poem on an easel, you can purposely misspell words and have students correct them. There are so many ways to differentiate and tailor this activity to the unique needs of your class. Where do you get your poems?? Do you make them up? Where do you get your poems? Do you write them yourself?? Hi Nicole! Yes, I make them up myself- I love getting the chance to do some creative writing!